Hello and welcome. Well, I guess you’re interested in yoga, right? You’ve come to the right place. I took my first yoga class aged about 15 at a local school hall. There was incense and a fair amount of ‘omming’ ….all quite funny for a new yogi who didn’t know yoga would form a pretty important part of her life for the next couple of decades. I’m quite into the chanting and incense now, and have gone from sitting still, to tying myself in knots, to nurturing a pregnant me (and an unborn Mae, now 7 years old) back to tying myself in knots again…..and rediscovering the ‘stillness’ that yoga can provide. A lightbulb moment struck about 6 years ago after a regular class I was taking was covered by a different teacher. Her manner and style made me feel even more deeply connected to my yoga and made me feel like this is something I should be doing more of…in all ways…practice and teaching. I set to find the best teacher training I could find that would fit in with my already stretched life of mum and business owner. A six month intensive course followed with a 200 hour qualification in July 2013. I’m often asked ‘what style of yoga do you teach?’ and aside from the Pregnancy yoga, I struggle to answer this one! 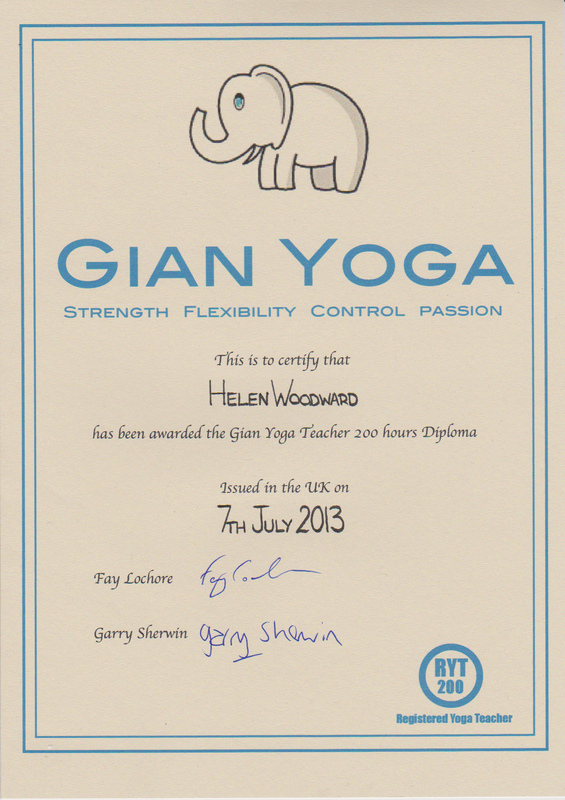 Trained in ashtanga style but have dipped my toes into sivananda, kundalini, restorative and even yin yoga ( a Taoist form of yoga)….they’re all branches of Hatha yoga and they all have their place. With my one to one clients I can work closely with each student and work out which style will benefit them the most. 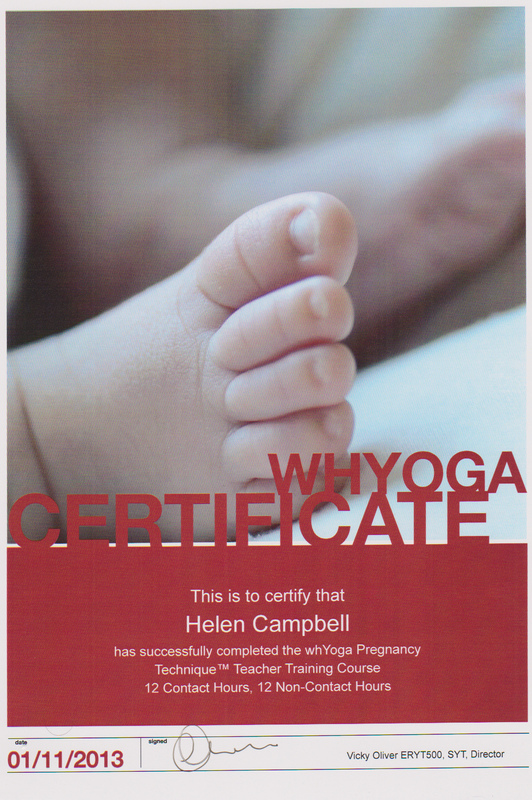 I completed my pregnancy yoga teacher training in November 2013 and plan to restart pregnancy workshops in Coventry from September 2018. Certificates for both training courses are below. Contact me if you’d like to know more.